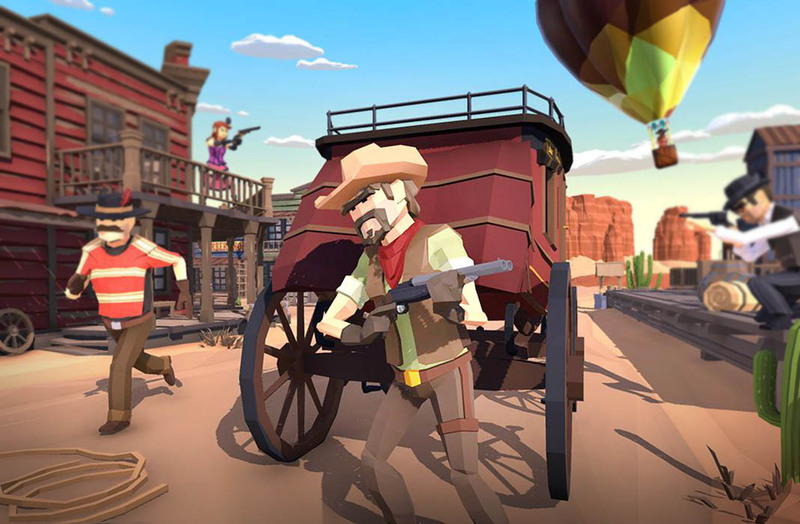 If you're looking for an original setting among the many battle royales that exist on Android, West Battle Royale takes you to the Wild West. The boom of Battle Royale games seems like it’s not going to stop anytime soon, as we’re constantly seeing new games popping up that use the same features from the genre that we’ve seen time and time again. The mobile medium is becoming the main focus for these types of games and the recent release of Fortnite has, without a doubt, helped. 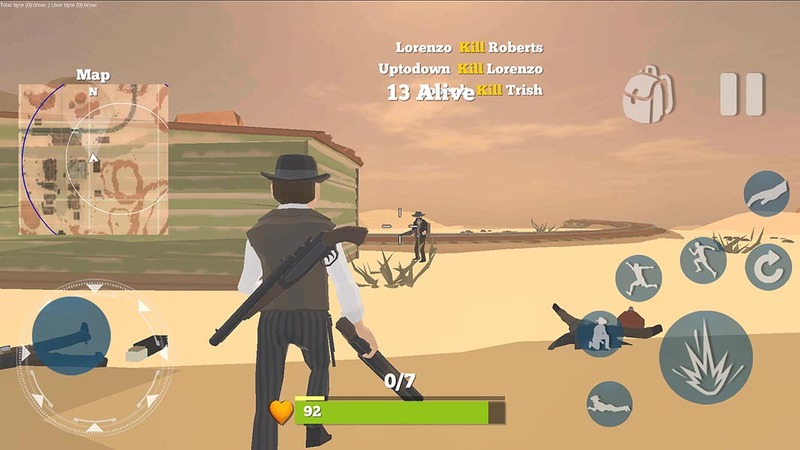 West Battle Royale aims to take advantage of the success of these types of games to offer us a battle royale set in the Wild West. The appearance of a game like West Battle Royale makes more sense than you’d think. 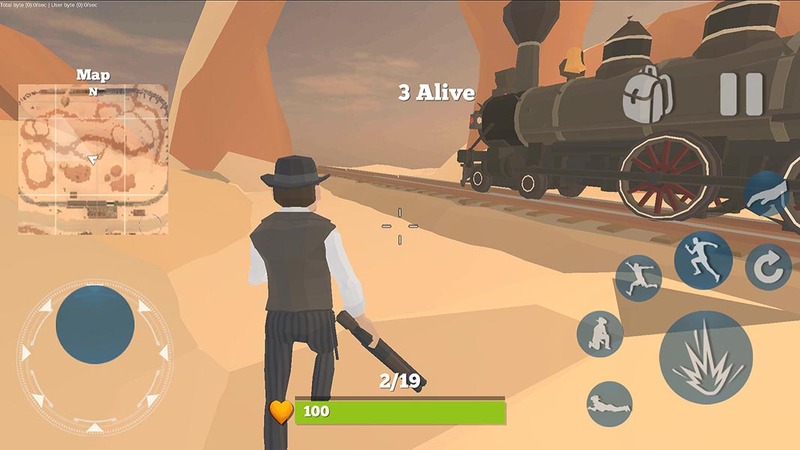 If the concept of the battle royales resides in the idea of surviving a free-for-all battle between numerous players, then honestly, the American Wild West seems like an obvious choice of setting. It’s a time period that’s engraved into our collective memories thanks to classic movies from Sergio Leone or John Ford, and videogames like Red Dead Redemption, and its anticipated sequel, have put it even more in the forefront of our minds. 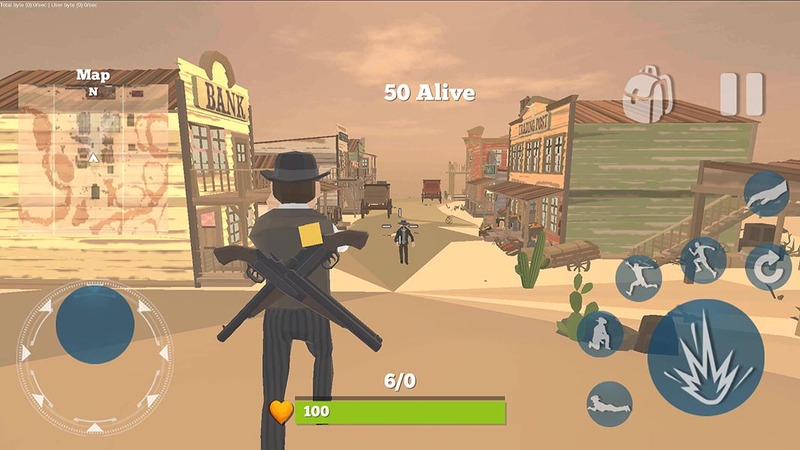 Shooting was a form of basic communication between the outlaws in the Wild West and it’s the same tool you’ll use to fight your battles in West Battle Royale. Fifty players are all looking for weapons after descending to the ground in a hot air balloon. It’s not anything we haven’t seen before, but at least the setting is different from what we’re used to seeing in this genre. You’ll have the chance to use shotguns, rifles, revolvers, and more weapons, but it all depends on how fast you are at finding them to take down your rivals. This is the main basis of the genre and it’s what you’re going to get in West Battle Royale. Unfortunately, the title isn’t very well-done and the movements of your own character leave much to be desired. West Battle Royale is another Fortnite or PUBG-style game that offers an original setting. But that’s about it. There are plenty of better games in this genre (you can find some here), so we can only really recommend it for fans of all things Wild West. What’s more, it’s one of the few titles that manages to use low poly graphics that are actually ugly. An achievement that’s not exactly something to be proud of. We can only hope it improves in the future.